It is no secret that buying in bulk can lead to great savings. Suppliers want to sell as much of a product as possible to maximise profits through economies of scale – so it is common practice to offer discounts on items bought in bulk. A simple example of this can be seen with the cost of Coca-Cola in a South African supermarket. A 200ml can is priced at R8 (R4 per 100mℓ), while a 2ℓ bottle costs about R14 (R0.70 per 100mℓ). The more you buy, the cheaper the price per unit. However, lower-income earners often don’t have the means to purchase items in large quantities. The irony is that those who struggle the most face the greatest cost burden – simply because they can only afford to buy small amounts. And two South African women believe this is an injustice worth tackling. Nokwethu Khojane and Lauren Drake are the founders of Lakheni, a Cape Town-based company that aggregates low-income households into buying groups. The duo founded the business in 2015, while completing their MBAs at the University of Cape Town. As part of their research thesis, they spent time with crèches in low-income areas and learnt how many often struggle to feed their children. Khojane and Drake realised that crèches could benefit from pooling their funds together to purchase food in bulk – resulting in considerable savings. The strategy worked, and the duo then decided to take the same approach with the families who sent their children to these crèches. By combining the buying power of these families, Khojane and Drake were able to negotiate better deals with wholesalers for large quantities of everyday food products. On top of this, crèches could also earn commission by organising bulk purchases for families. 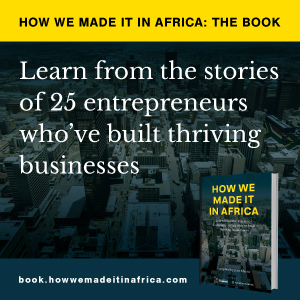 “Our light-bulb moment was using the social capital and the interconnectedness of the people that existed, and realising we can turn that into a business,” says Khojane. Today the company works with 95 different buying clubs – the majority of which belong to crèches, but also include churches and stokvels (informal savings groups in South Africa). Each club is set up and managed by a member of the community, who is incentivised to grow the group’s membership through a commission on sales. Lakheni’s team then packages orders for each customer and delivers them to the crèche or church. According to Khojane, a major highlight since launching the company was when customers started to deposit money for goods even before they had placed their order. “It meant the trust, which is very difficult to get, was growing. And remember, in this space, when someone gives you money upfront, it’s not like you and me giving money upfront. By the end of the month they have no food and money left. If we don’t deliver, families don’t eat. It is that serious,” she emphasises. The company is now looking into opportunities to supply other products and services to its buying groups, such as airtime, data and financial services. Khojane believes it is important for social enterprises to generate revenue in order to become sustainable and grow their reach. One income strategy Lakheni has discovered to work, is selling access to their large groups of consumers to marketers. “For starters, our customers are no longer walking down an aisle in Pick n Pay and choosing from five or six different washing powder [brands], for instance. They are now choosing from two that we have chosen. So if brands want to be [part of our offering] they can bid for it – and that becomes an income stream for us without us putting any extra cost on our customers who actually can’t afford to pay more for anything,” explains Khojane. Another strategy is to leverage these clubs for market research and provide focus groups for companies looking to better understand or target consumers in low-income, and often hard-to-reach, areas. Khojane’s role in building Lakheni has recently got her named as one of 10 nominees for this year’s Innovation Prize for Africa. The company’s resourceful model has also won awards and funding at a number of other competitions. But despite the recognition, the founders have experienced entrepreneurship to be a tricky road to walk, and Khojane admits that nothing could have prepared her for how challenging the journey would be. “You never leave work – it stays with you all the time. Besides the financial sacrifices, there are time sacrifices. There is also worrying about whether you can afford to pay salaries every month, with yours always being the last to get paid,” she notes. She warns others looking to pursue entrepreneurship to expect their business plans to change as starting a venture is unpredictable.